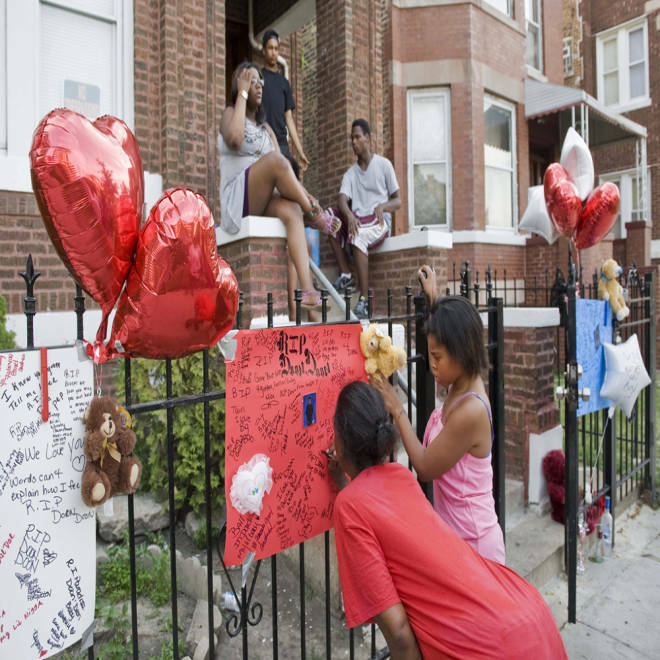 Janice Watson signs a memorial for Joseph Briggs, a 16-year-old who was killed Saturday, as Joseph's sister Maggie, 17, right, looks on in the Marquette Park neighborhood in Chicago, Illinois, Sunday. A series of shootings in Chicago over the weekend left eight people dead, including a 16-year-old, and more than 40 people wounded, according to NBCChicago.com. During one particularly bloody stretch overnight Saturday, about 20 people were shot, police said. "None of it is OK," Chicago Police Supt. Garry McCarthy told NBCChicago.com. "And I don't want it to seem like we're managing it, but the realistic expectations have to be over the long-term." The youngest to die from the weekend gun violence was 16-year-old Joseph Briggs, shot on his front porch in Marquette Park, police said, adding that the shooting may have been gang-related. The teen’s grandmother, who was raising him and his sisters, told the Chicago Sun-Times she did not believe Briggs was the intended target, just in the wrong place at the wrong time. 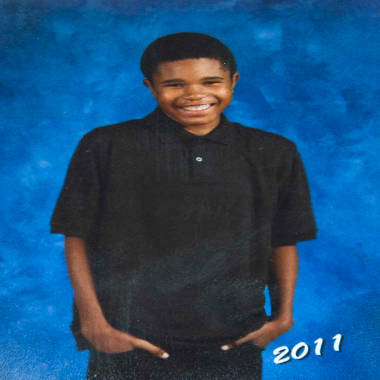 Joseph Briggs, 16, was killed Saturday night on his front porch in Marquette Park, Chicago. She said her grandson’s murder has caused her to think about relocating. “There’s been a lot of shootings on this block,” Josephine Briggs said to the Sun-Times. “Once I bury him, I’m going to try and move." McCarthy said guns and gang activity remain a huge issue for the city but he maintains overall crime in Chicago is down 10 percent. "Crime reduction is a process," McCarthy said. "We implement the strategies and the question is are we doing better than we were last year. And the answer is yes." After a bad first quarter that saw a 60 percent spike in murders over the previous year, McCarthy said, shootings are down eight percent in the second quarter and gun recovery is up 20 percent. He pointed out that this time last year 17 people were murdered in a week. "It's not something we want to declare victory about, but it's progress," McCarthy said. "You have to have that perspective and it's the reality." The first shootings of the weekend happened around 4:43 p.m. on Friday near the Back of the Yards neighborhood on the southwest side of the city, where two men were killed and three others were wounded. Rashuan Stephany, 22, and Mario Jackson, 26, were standing outside with three others when two unknown men approached them on foot and fired shots, Chicago police spokesman Daniel O’Brien told the Sun-Times. Stephany and Jackson were pronounced dead a short while later at John H. Stroger Jr. Hospital of Cook County, according to the Cook County Medical Examiner’s office.